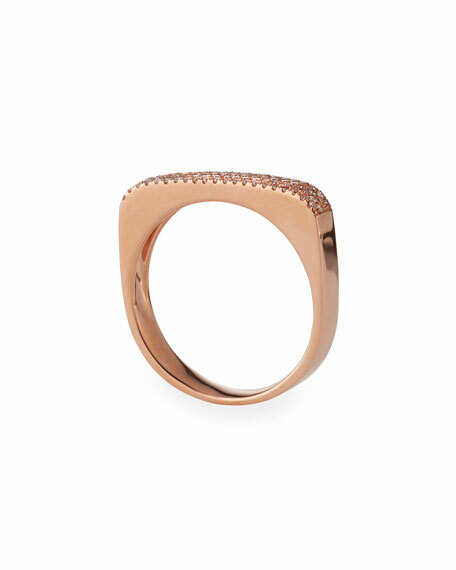 EF Collection "Jumbo" bar ring. Your choice of 14-karat rose, yellow, or white gold. Rows of pavé white diamonds trim face. 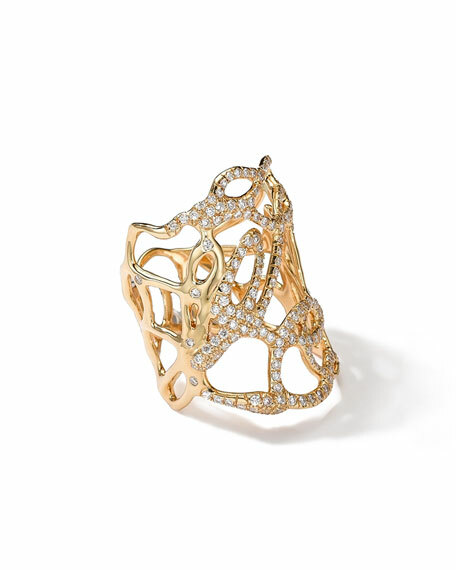 Brushed 18-karat yellow gold adorned with pave white diamonds. 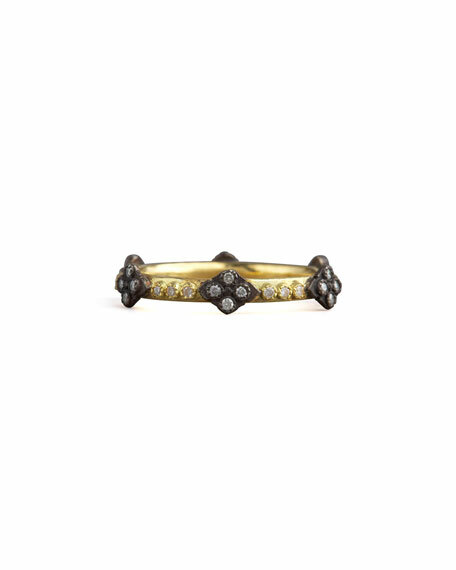 "Midnight" oxidized sterling silver Crivelli crosses with pave diamonds. 0.17 total diamond carat weight. 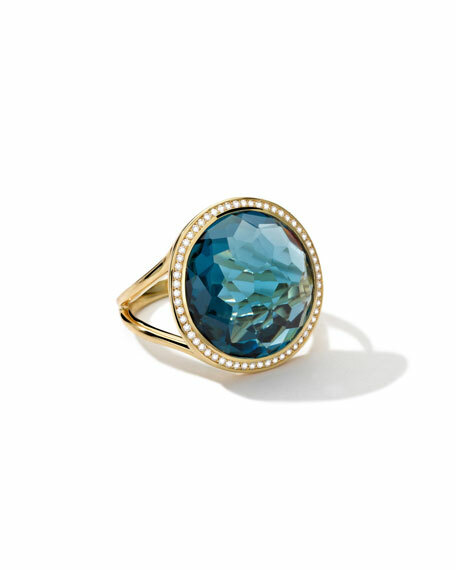 Ippolita ring from the Rock Candy Lollipop Collection. 18-karat yellow gold. Faceted London blue topaz at center. White pave diamond bezel; HI SI; 0.26 total diamond carat weight. 20mm (approx. 3/4") wide . Split shank, slim band. Imported.